The economic landscape is changing every moment and with it, new opportunities for our workforce develop. What will autonomous cars, virtual reality, and next-generation robotics mean to our students today as they become active participants in the economy? The Career & College Readiness Department would like to introduce our two new career mascots - futuristic life size mannequins who need names. They can be seen here with Wm. S. Hart Union High School's District Superintendent Vickie Engbrecht at a WiSH Foundation Fundraiser, Cocktails on the Roof. The Event raised more than $45,000 for the Hart District students. To learn how the Robots will be traveling throughout Santa Clarita, please click on the link below. The Career & College Readiness Department is proud to honor and feature Joe Monteleone from Valencia High School in this months Newsletter. 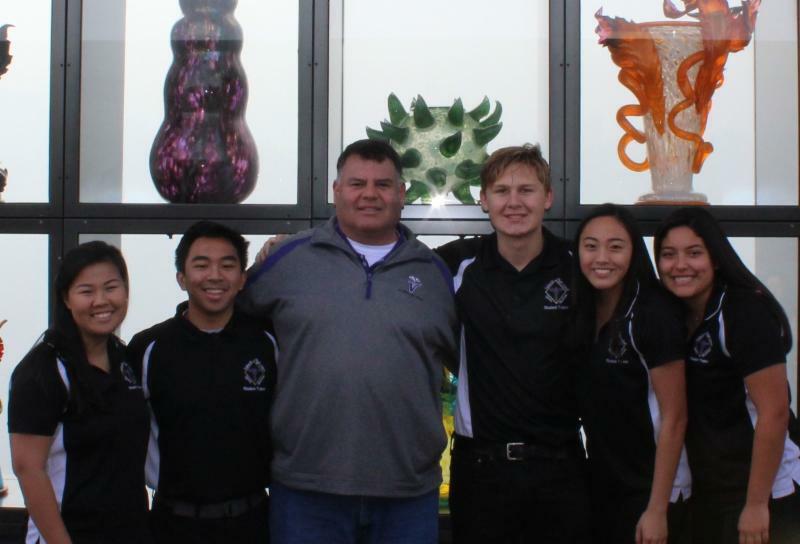 Mr. Monteleone teaches Sports Medicine at Valencia High School in our Health Sciences Career Pathway. To learn more about Mr. Monteleone and his classes, please click on the link below. 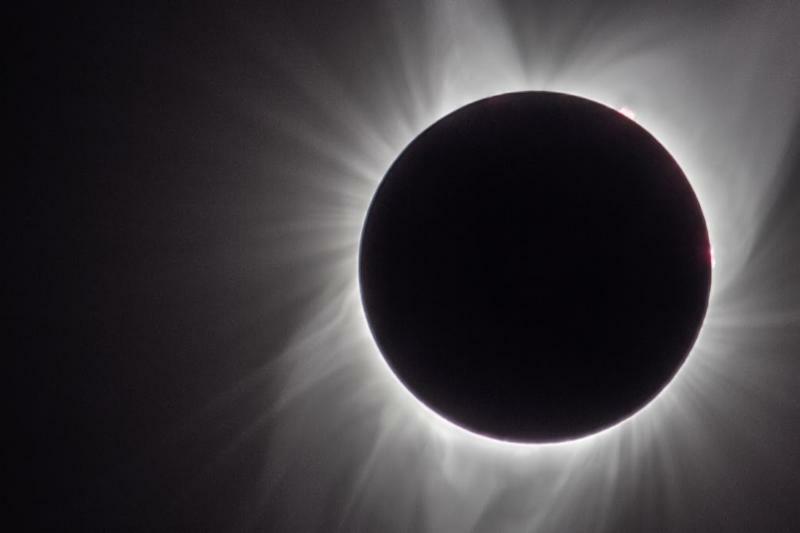 Advanced photography student, Max Sehic, captured this outstanding photo of the solar eclipse. Max is a student at Hart High School in John Vincents Advanced Photography class. To view more photos and read about his journey, please click on the link below. The Career & College Readiness Department is proud to feature Nicole Marie August, Freshman at West Ranch High School. 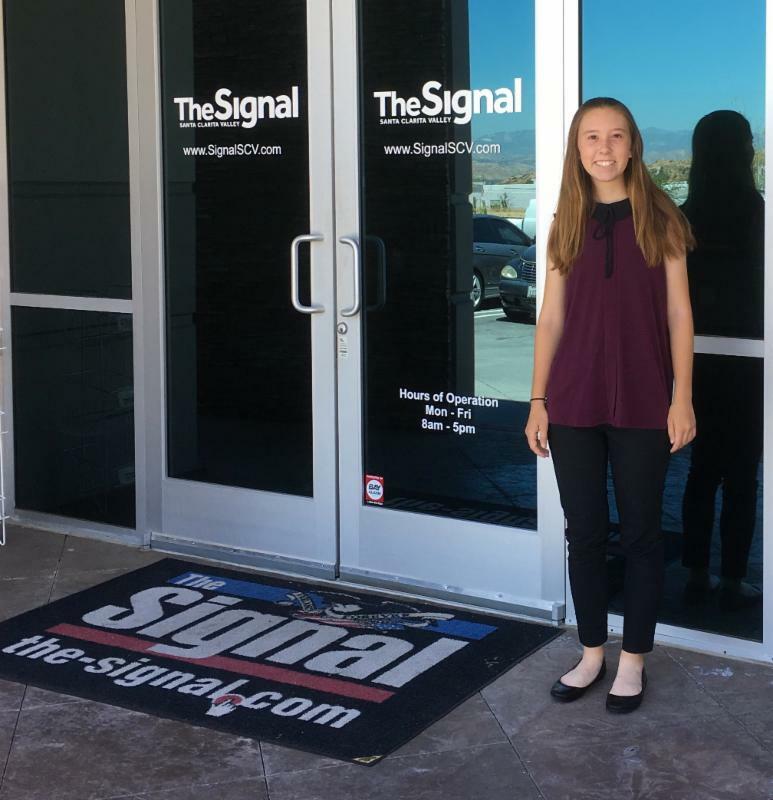 Nicole worked 60 hours as an Intern for the Signal Newspaper this summer. To learn more about Nicole's experiences and our Internship Class, please click on the link below. 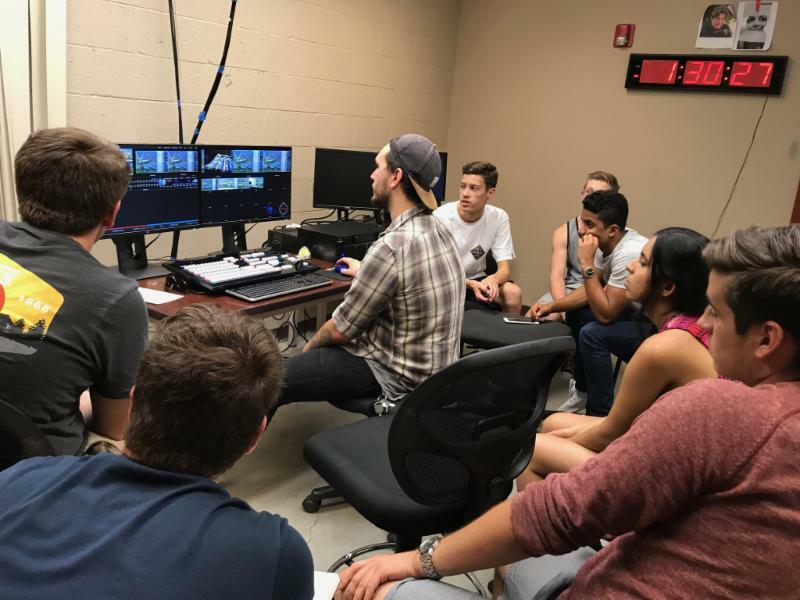 Students in Mrs. Overdevest's National Award West Ranch Television classes are seen here training on a new Tricaster Platform Digital Mixer. 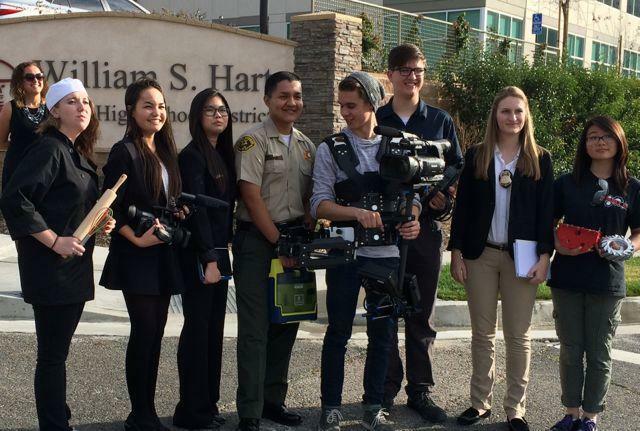 The hands-on learning experience allows the students to use professional industry standard equipment for their daily produced West Ranch TV Show and also prepare for their careers ahead. Sierra Vista ASB leaders Sarah and Kyleigh sit in as guest anchors for the Sierra Vista Life morning show. The Broadcast Journalism Class invites students from band, choir, ASB, Honor Society, and other groups on campus from time to time to sit in the anchor chair to read the school news as special guests. 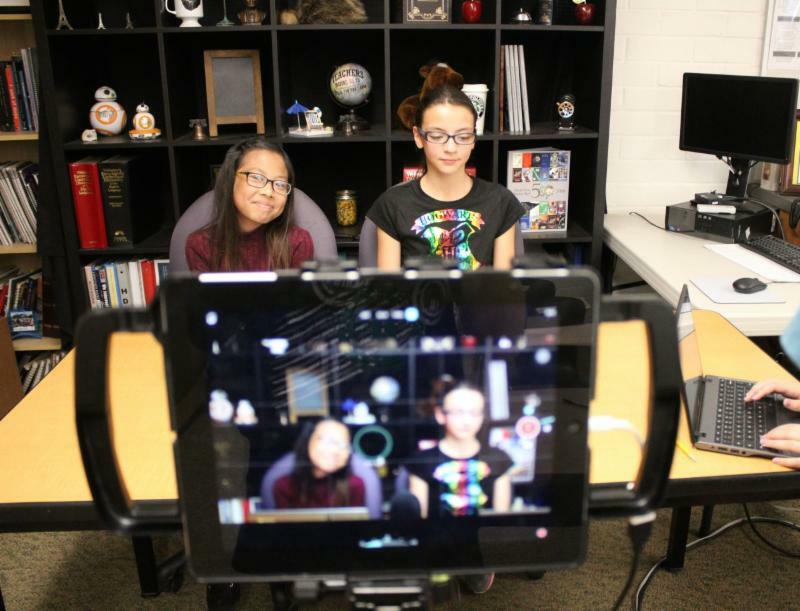 Tune into the "Dieciseis de Septiembre" show on Friday, September 15, for the Spanish broadcast, anchored by two of Sierra Vista EL students. To view more hands-on photographs and learn more of Ron Ippolito’s Broadcast Journalism Class, please click below. Please view the video to learn tips on the Computer Science Pathway at Valencia High School. Learn how Kayla’s journey demonstrates perseverance, 21st century skills, and success. We could not be more proud of her accomplishments! The video is representative of our Computer Science Pathway students and the excellence instructor Jerry Ostrove brings to the program. The Career & College Readiness Department Honors Business Partner Tania Mulry of Steamwork Center, a Consulting & Office Space/Business Growth Services. 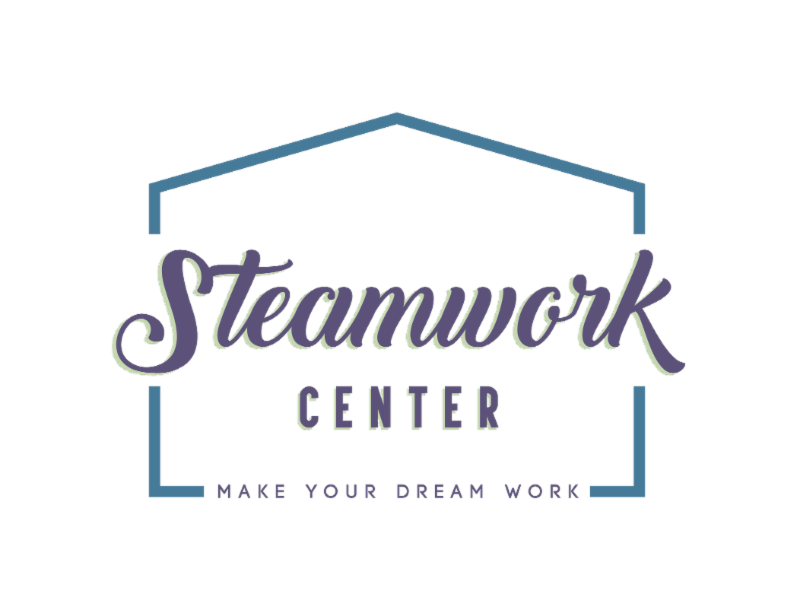 Steamwork Center is a workspace and resource hub for entrepreneurs in the Santa Clarita Valley. They offer a variety of flexible space arrangements to people who need to host an event, lead a class, have a private client meeting or just a quiet desk for the day. 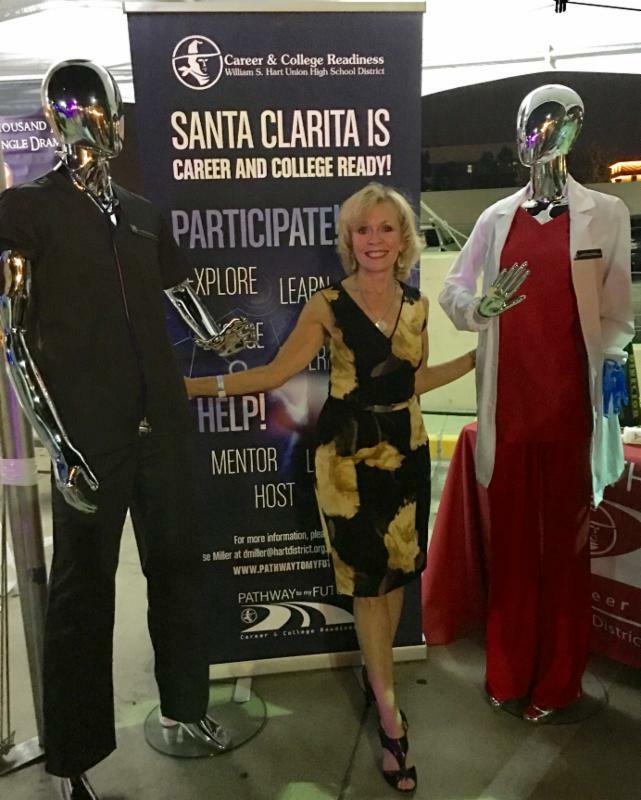 Steamwork Center supports entrepreneurs and connect them to emerging talent in the Santa Clarita Valley from our local schools, colleges, returning graduates and experienced freelancers. 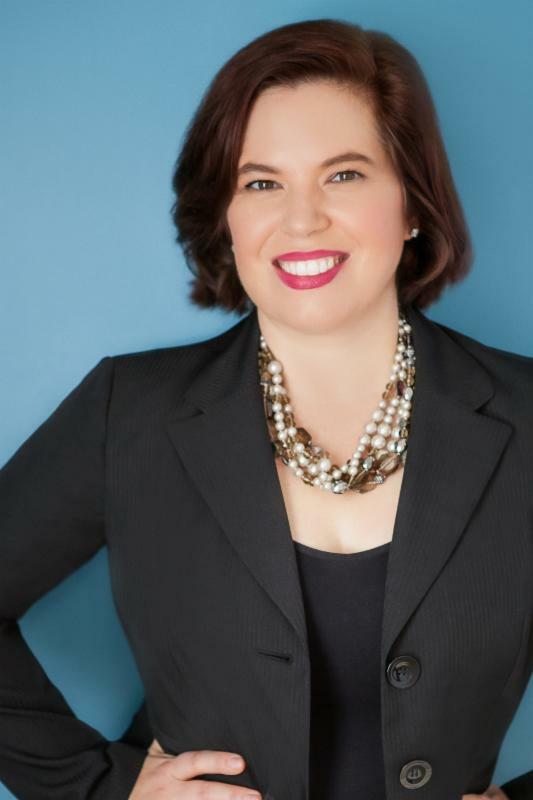 To learn more about Tania Mulry and her new business, please click on the link below. Meet Tina Olinger, our outstanding Career & College Readiness Specialist at Valencia High School. Mrs. Olinger assists students at Valencia High School on Career Pathway Courses, Extended Day Courses, and so much more. 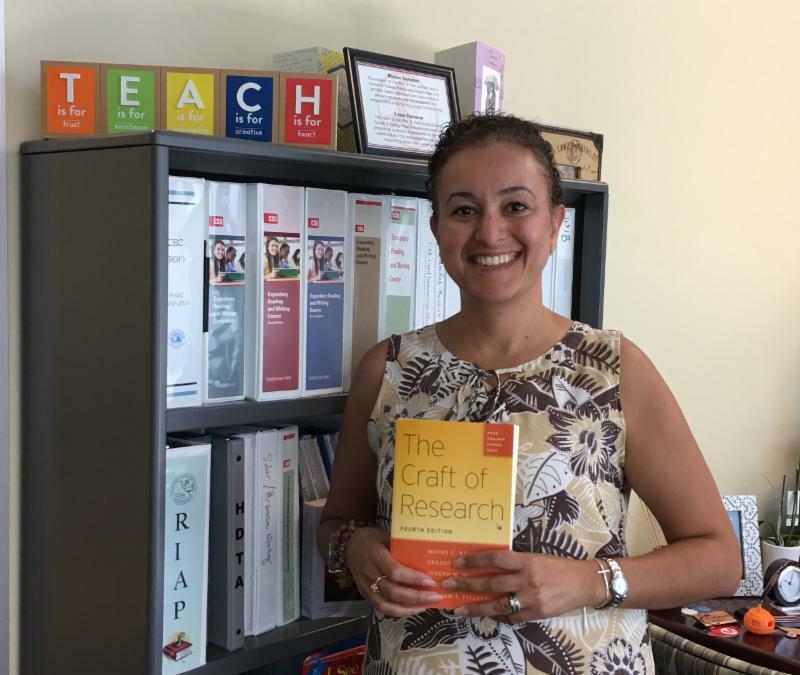 To learn more about Mrs. Olinger's role and her fun summer activities, please click on the link below. 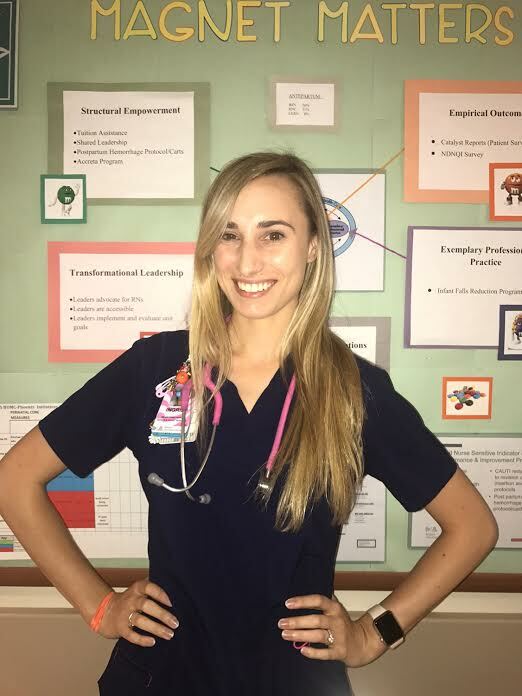 The Career & College Readiness Department interviewed West Ranch High School Alumni Ingrid Jelderks on her Nursing career preparation and advice to future students. To learn more, please click on the link below. 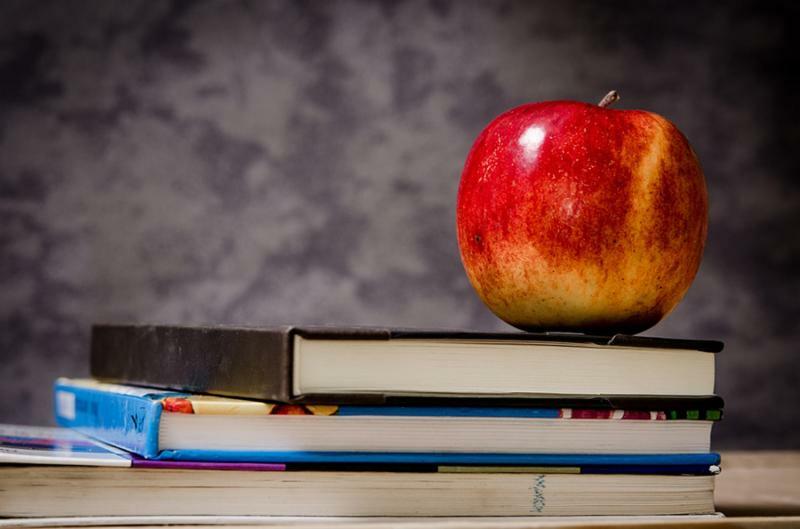 Throughout the country there has been a push toward Career Technical Education (CTE), programs and pathways that provide students with the academic and technical skills they need to succeed in future careers. To read further, please click on the link below. 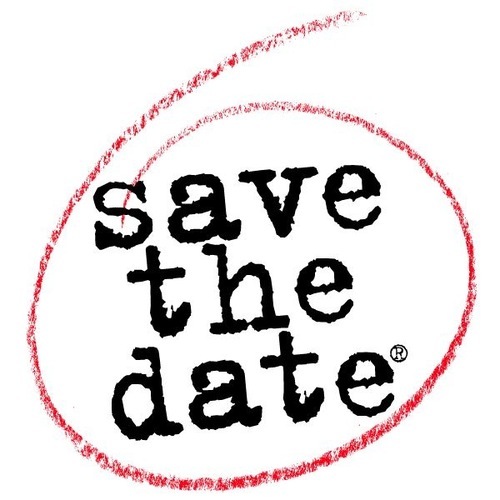 Please mark your calendars for the Wm. S. Hart School District and College of the Canyons 2017 College & Career Fair! The Fair is open to all High School and College of the Canyon Students and families. 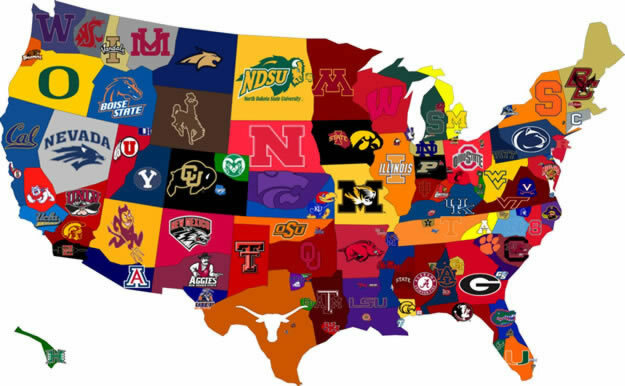 Explore Career Goals, College Plans, Financial Aid, Admissions, and Industry Leaders. - Financial Aid (FAFSA); In Spanish and English. To learn more about Flipgrid, please watch the video above and visit their website Flipgrid to establish your free account. Flipgrid is one of our new favorite assessment tools! We are not alone; the edtech world is crazy for this free teacher tool. 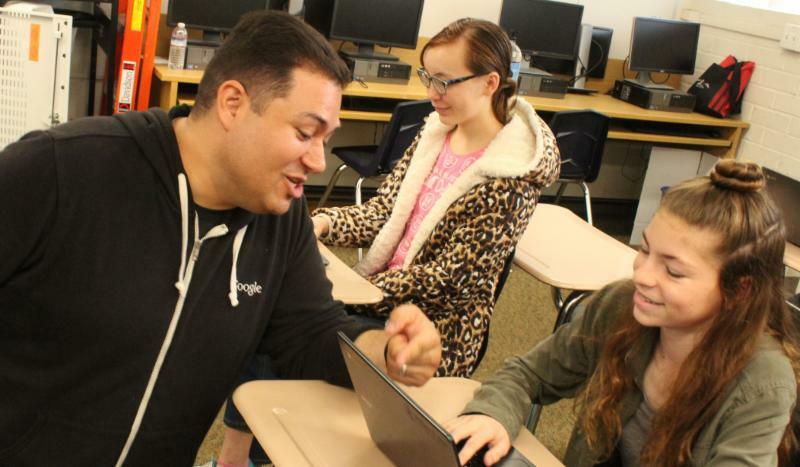 More than 100,000 educators, 5,000,000 students use Flipgrid across 141 countries. Flipgrid popularity might come from the user familiarity close to the Snapchat App. It is an online video discussion tool where you add the topics and your students respond to those topics (and to each other) with short videos. I love it because you can assess and build a classroom community. How much do educators know and understand about creating graduates who are career ready? 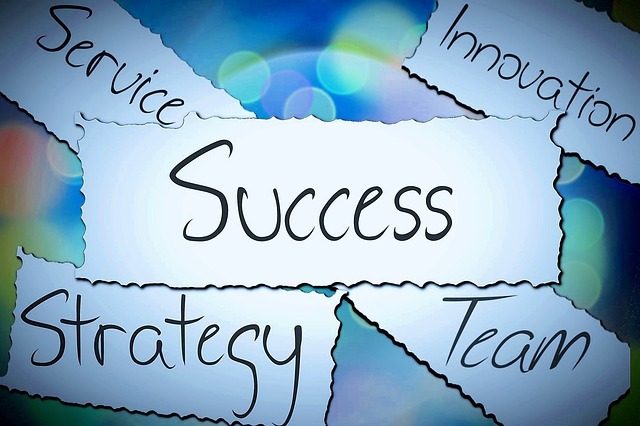 What are the skills and knowledge students need for a career over the next forty years?To read further, please click on the link below. 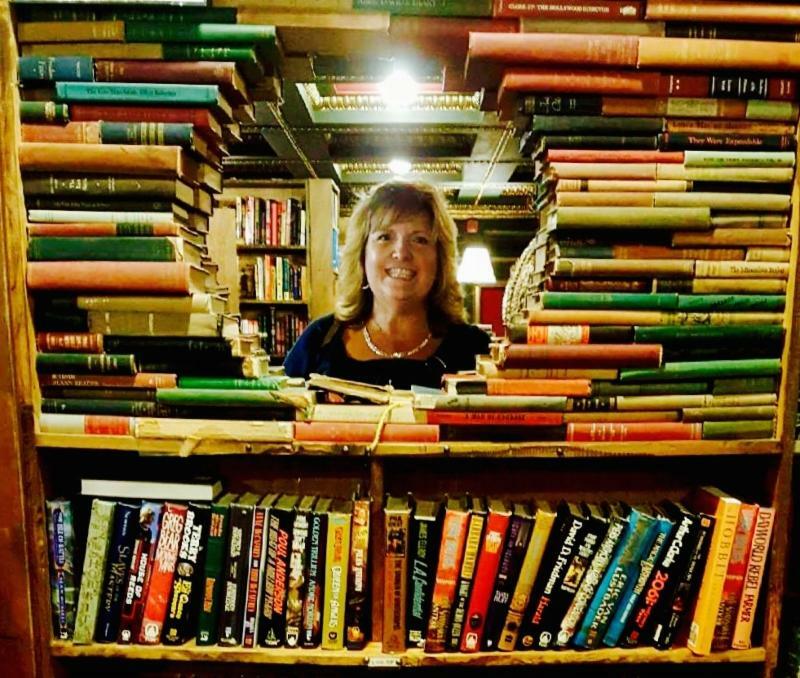 Denise Miller at dmiller@hartdistrict.org, 661-259-0033, ext. 242. Do you want to receive the Hart District Career & College Readiness Newsletter? Please click the link below and provide your name, email, and company/school to be on the mailing list. Thank you! For information on Career Pathways and our Extended Day Classes available both daytime and after hours, contact the CCR Specialist at your school site listed below.